So I’m a Multi-tasker….No Really! I am a multi-tasker. It’s true. I don’t feel like I’m getting enough done unless I’m doing several things at once. Sometimes this is a really good thing, and helps me to accomplish a lot…other times it means I get absolutely nothing accomplished…or at least it becomes a form of procrastination, keeping me from accomplishing what I most need to get done. From the minute I get up in the morning, I multi-task. I start by getting a load of laundry into the washer. While it’s washing, I make the bed, put some toothpaste on my toothbrush, hop in the shower, wash up, (I know this is WAY too much information, but bear with me…or bare with me, I am in the shower). I wash my hair, then condition, now my conditioner needs to stay in for two-three minutes…and I’m not going to twiddle my thumbs and count them off, so I pick up the toothbrush to brush my teeth…it’s timed for brushing your teeth for two minutes, but while I’m brushing my teeth, and conditioning my hair, I still feel like I could get more done, so I switch my toothbrush to my left hand, grab my razor, and shave my legs, while I brush my teeth, condition my hair and do laundry…ah, now I’ve got things in control. Look how much I can accomplish in two-three minutes!! Of course, I frequently knick my legs while I’m shaving this way because I’m not all that coordinated…but at least I’m using my time wisely, no really I am. So, I get out of the shower, alright, I rinse my mouth out, rinse my hair, hose down my legs and get out of the shower. Wrap my hair in a turban, and dry off. Quickly, because I’m pretty sure my load of laundry is done, and this means I’m no longer multi-tasking, so of course, I’m wasting time. I throw my laundry in the dryer, fill the washer with a new load, turn them on…yay! I’m washing and drying, now I can go fill the crockpot or bread machine, or some big pot on the stove with food for dinner so that I’m doing a few things at once. Maybe make cookie dough, so that I can bake cookies, while starting dinner, unload last night’s dinner dishes from the dishwasher…I’m really going now, and reload…phew, now I’m cooking, doing dishes and laundry all at once! But wait, the washer just finished, so I better go grab another load. So I can move the laundry from the dryer to a laundry basket, from the washer to the dryer, and reload the washer. Now I’m folding laundry, keeping an eye on whatever is cooking, burning a batch of cookies, waiting for the dishwasher to beep…and what was it I was planning on finishing today? Oh yeah, editing chapter twelve of my book. So, the laundry is folded, dishwasher, washer and dryer are running, cookies are burnt and dinner is simmering. I grab my manuscript and red pen… but then the dryer buzzes AND the dishwasher dings…oh, and I can smell that I’m scorching whatever is in the pot simmering for dinner. So, I go stir the pot, unload the washer and dryer first, I don’t want those clothes to wrinkle. Fold the laundry, put some toilet bowl cleaner in the toilets so that I’m still multi-tasking while I empty the dishwasher, realize there’s black dog hair everywhere, so I better vacuum, but I don’t want to vacuum until I dust because, well everyone knows you dust before you vacuum…. but, then the dryer buzzes and the last load is done. So, I rush to stir the pot again, grab the last load of laundry, fold them while I get my bank balance over the phone, now I need to go to the bathroom. But, I’ve put toilet bowl cleaner in the toilet, and everyone knows you need to clean the rest of the bathroom first and the toilet last, so I wipe the counters, and the shower, quickly sweep, clean the toilets, finally go to the bathroom….and oh yeah, I still need to vacuum….but I haven’t dusted. Somehow I didn’t get anything done on my list! Maybe I should get up 15 minutes earlier tomorrow. What about you? Are you a multi-tasker. Or do you check things off of your list one at a time? How do you get things done? Tell me, I’d love to know…really, I could use some help! If you come to my house for dinner, you never know what I’ll be serving. 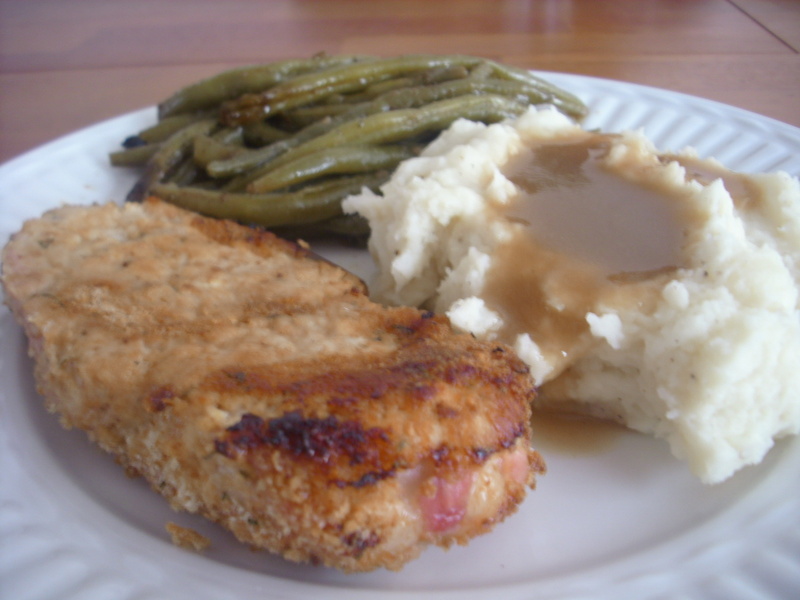 It could be anything from oven fried pork chops with hand mashed potatoes and sautéed green beans to a new middle eastern recipe I’ve decided to try…or maybe you’d show up for my weekly homemade pizza, as my sons friends often did through out their childhood’s. (And sometime’s still do.) I don’t mind picky eater’s or special diets….as long as I know in advance, I’ll do whatever I can to accommodate you, and I probably already have a recipe, although I’m up for the challenge of trying something new. I’m not a gourmet cook, just an experienced home cook who happens to enjoy this particular daily “chore”. People who know me now often assume that I’ve always been a good cook, or that I have a “natural flair” for cooking, but they would be wrong, and those who lived in my neighborhood when I was a 19 year old bride, would probably be surprised to know that I finally did learn to cook without ruining a recipe or setting off the smoke alarm….or even setting the kitchen on fire!! That’s right, it was a running joke in my old neighborhood in Sunnymead, California to ask “What did Tari burn for dinner tonight?” My ex-husband and I had purchased a cute little house in a new tract, in a little dessert valley. The land was flat, there wasn’t much around, the houses didn’t have fences, and sound seemed to travel, so it was pretty hard to keep it a secret that I had set off the smoke alarm trying to cook dinner ..yet again. There were the tortillas I tried to make that turned out like Frisbees, the chicken that was burnt on the outside, but still raw in the middle, the undercooked pasta, overcooked potatoes in the potato salad, and the time I set the kitchen on fire trying to melt butter for the graham cracker crust to make a boxed cheesecake for the neighborhood New Year’s Eve party. I left the butter melting on the stove to use the restroom, and when I came back there were flames shooting out of the pan. Luckily, I threw the lid on the pan before it got out of hand, but every time I lifted the lid to see if the fire was out, flames erupted from the pan. I didn’t know what to do, so I called the fire department. They must have been pretty bored that day, because rather than tell me “Stop lifting the lid off the pan!” they sent a nice, shiny, big, red fire truck with three big hunky firemen in full gear to check it out. By the time they arrived the fire was finally completely out, and they wanted to know where my mother was…. I was so embarrassed I just wanted to die!!! But that wouldn’t be the end of it…..the favorite topic of conversation that night, when I arrived at the party with a store bought cake, was my lack of cooking skill, and the possibility that I might be burning things on purpose just so those hunky firemen would show up!! I divorced, and remarried, and moved to The Antelope Valley another high dessert town. Now, I not only had a husband with a hearty appetite, but three growing little boys, and a tight budget. I developed a repertoire of recipes I could count on, but was still far from an accomplished cook. I did love to bake, and when I offered to bring something to a potluck, or to contribute to a party, undoubtedly I was asked to bring cookies. I found a couple recipes in cookbooks that I was confident enough to make for company, one was for Flemish Beef Stew, and the other Au Gratin Potatoes. 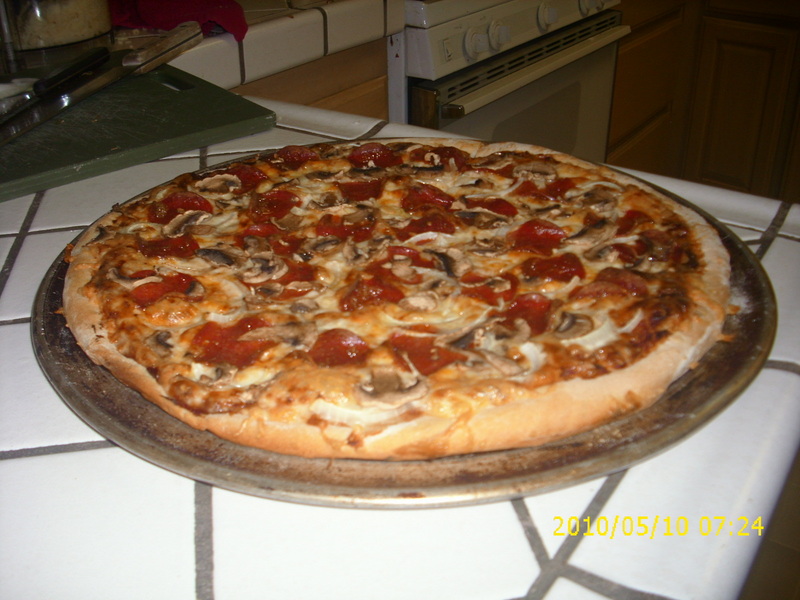 Our newspaper, The Antelope Valley Press, had a “Cook of the Week” column in the food section. Residents could fill out a form with their favorite recipe, the paper would come out and take a picture of the cook with his/her dish and publish it in the food section of the newspaper. One week, I decided to clip out the form and submit my Flemish Beef Stew recipe. I filled it out, and put it on the refrigerator with a magnet until I had time to drop it in the mail. “Maybe, she said, did you submit an application for ‘cook of the week’?” I knew I hadn’t, but I turned to look at the refrigerator just to be sure, and there was my form, still held up with a little magnet, waiting to be mailed. “Really?” Lisa asked. “What’s your recipe?” We talked a little more, had an immediate connection, and she asked me to get my recipe to her as soon as possible. In the meantime, she found the original Lori Jewett, and the “wrong number” story took up half a page in the next food section under the title “Mistaken Identity Yields Some Magnificent Food”. This “wrong number incident” became a turning point in both my writing and cooking careers. 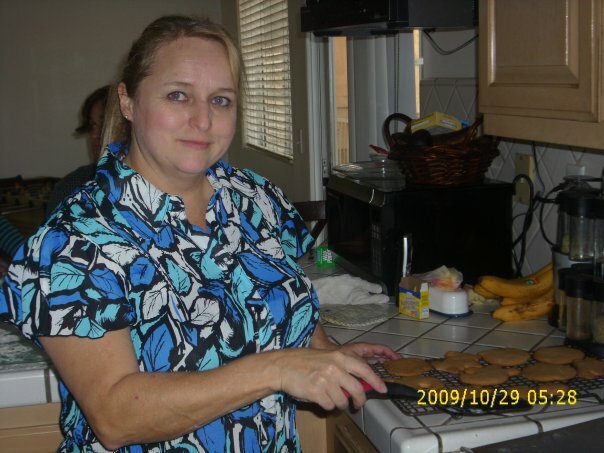 Many of you already know that I freelance wrote for many years, and although I wasn’t much of a cook I knew I could write about cooking, and I used this opportunity to pitch a budget cooking column to the only editor that I knew at the Antelope Valley Press. It was the early 90’s and our local economy was not good, Lisa thought a budget cooking column could be a nice fit, and “The Penny Pincher” was born. For several months I wrote the weekly column until one day Lisa called me in a bind. She’d lost her regular “photo cook”, and as she put it I was “the only gourmet cook” she knew in the area, could I cook for this week’s food section? Now I could hardly admit that her food columnist was not an accomplished cook, so of course, I said yes. I don’t remember what I had to make for that first photo shoot. Whatever it was, it must have looked good enough for the pictures because I became a regular cook for the newspaper photos. I never knew what kind of recipes Lisa would be sending for me to prepare. There were holiday recipes, seasonal recipes, ethnic recipes and gourmet recipes. It didn’t matter that I didn’t know what these dishes should look or taste like, and since we didn’t have the internet back then, it wasn’t always possible to find a picture….after all that’s why I was preparing them….so everyone else would have a picture. During the 4 plus years that I cooked for the Antelope Valley Press Food Section I learned to make food that was attractive, I learned to handle kitchen emergencies, and eventually I actually learned to cook. My sons were ages 1, 3 and 10 when I started working for the food section, and they learned that dinner was always a new adventure. One night we might be eating 5 different kinds of stew, the next night, Jewish Kosher foods. 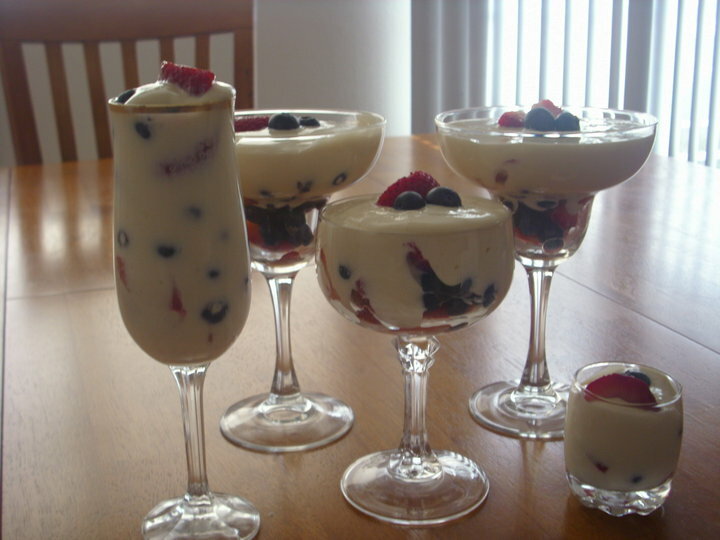 We might have to try a dozen upside down dessert recipes one week, and then a week of meatless recipes for Lent. To this day, not one of my boys is a picky eater, and my oldest son Gerrod is a very accomplished cook in his own right. Occasionally, I wonder what those old neighbors would think if they could see my name under a food section photo, or just sit at my table for a dinner served without the accompaniment of the smoke alarm, and then a quick call for pizza delivery. And by the way….wrong number calls, don’t upset me, you never know what kind of opportunity might be at the other end of that call…..